Right Angle are delighted to have been confirmed as finalists for the Conference News Agency Awards. The Conference News Agency Awards recognises the excellence of the people within event agencies who deliver outstanding work. 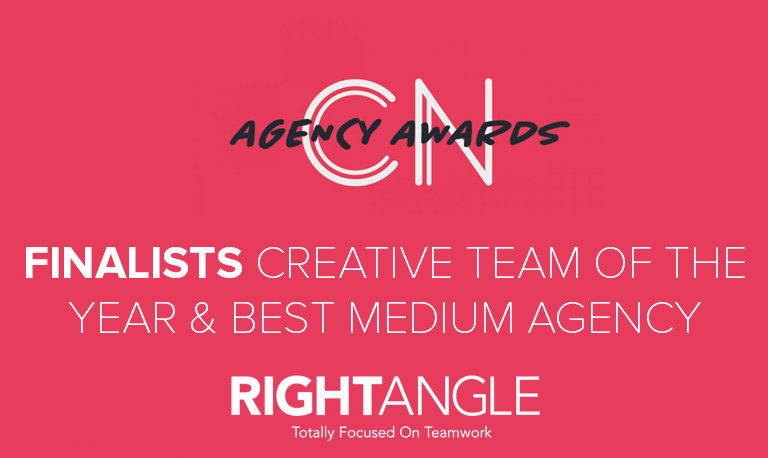 The finalists for the inaugural CN Agency Awards, in partnership with the NEC, has been released. The calibre of entries is exceptionally high, with most of the UK’s leading agencies represented as well as large global agencies also well-represented. Cafe de Paris, in Piccadilly, London, has been confirmed as the host venue for the CN Agency Awards, which will take place on 21 March. Right Angle are finalists in two categories for their amazing team building activities. This award recognises a small to medium sized agency which employs between 16 and 50 staff (full time and part time) whose efforts and talents have cemented the company’s position with the creation and delivery of a broad range of events whether meetings, incentives, exhibitions or experiential. Client acquisition, retention and growth will underpin a strong managerial vision and strategy. This award celebrates the brilliance of an agency team that creates experiences that consistently surpass the brief and the client’s expectations. Whether through production values, choice of technology, venue or destination, this team is visionary, innovative and daring, delivering memorable and unique experiences that motivate and inspire all participants. “The events industry is not short of venues or suppliers (or indeed awards ceremonies to celebrate them), and while they underpin the great works of event producers, a huge proportion of the creativity, innovation, and evolution of the sector is driven by event agencies.